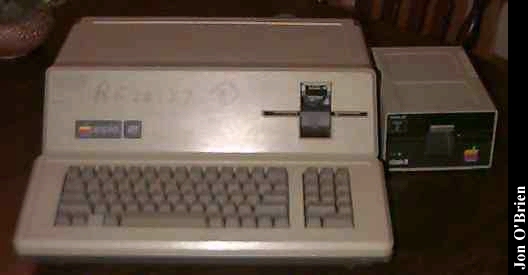 The Apple ///, the first computer designed completely by Apple as a company (not just the two Steves) and arguably their second biggest flop next to the Lisa, was probably one of the most powerful 8-bit systems ever built. 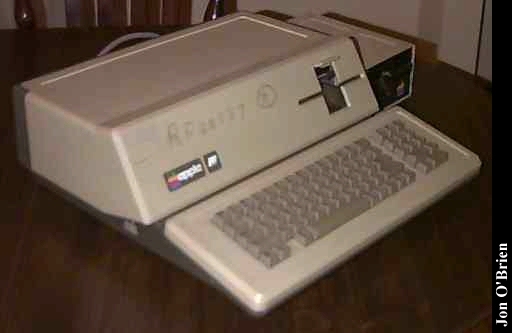 Apple designed it to be their business-oriented machine, destined to replace the Apple II as the company's bread-and-butter. It shipped with 128Kb of RAM standard, built-in 80-column text, color graphics, a full-size keyboard, and a built-in 5.25 floppy drive. Though it had the ability to emulate a 48k Apple //+, you needed to use its proprietary Sophisticated Operating System, or S.O.S. for short (most would argue a different meaning for the letters) in order to tap its full power. The /// came out in 1980, and hit the ground limping. Its poor case design did not allow for adequate cooling so the motherboard would warp and cause the chips to become unseated. Apple literally told people to pick the system up a couple inches off of their desks and drop it to reseat the chips. Apple eventually released a reliable version of the system and even updated the older problem-prone systems but the damage had already been done. IBM's Personal Computer was on the scene by then and stole most of the ///'s thunder. Apple released an updated model, the ///+, in December, 1983, but would later pull the plug on the whole line only four months later. Less than 100,000 were made during the four-year production run. There were several design aspects of the Sophisticated Operating System that were ahead of their time. Each boot disk had driver programs for the various hardware attachments that were installed. Its hierarchical file system was the basis of ProDOS on the Apple // line, as well as the Macintoshs HFS. The model above is an Apple ///+. 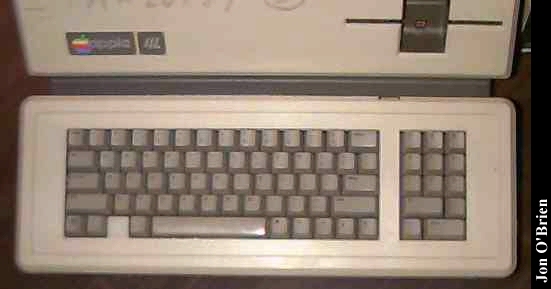 The biggest change from the original /// (besides being reliable) was an improved keyboard that, aside from the numeric keypad, was almost identical to the Apple //e. While I don't have the numbers to prove it, I'd be willing to bet it's rarer than an original /// due to its short production life and the waning popularity of the product line in general. It's fully functional. Despite its small population, the /// still has a loyal following. In fact, an operating system upgrade was just released in 1994 (there's even loyal users working on drivers for using an Iomega Zip drive with it!). I only know of one user group left that supports it, though several companies are still around. Several sources for Apple II information, such as newsgroups and FTP sites, will usually have information on the ///. A good source of information is the Apple Pi User Group. They've got lots of information on using and maintaining the system, and they've even got a software collection that you can access by becoming a member. They've also got a FAQ file that explains the system in pretty good detail, including information on how to use it to access the Internet (text only, of course). Click here to view all comments for the Apple ///+ and to leave your own.